I really liked the recent self portrait that the MSL Curiosity took; cropped, contrasted, eroded it a bit to make a wallpaper for myself. You can see the bite marks made by the scoop towards the bottom left. This photo also shows Gale Crater and Mount Sharp to the right. 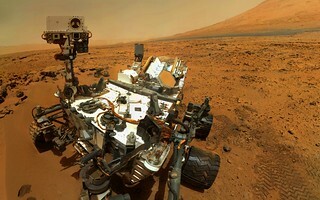 Mount Sharp is where this rover will be making its way up in the coming months/years. 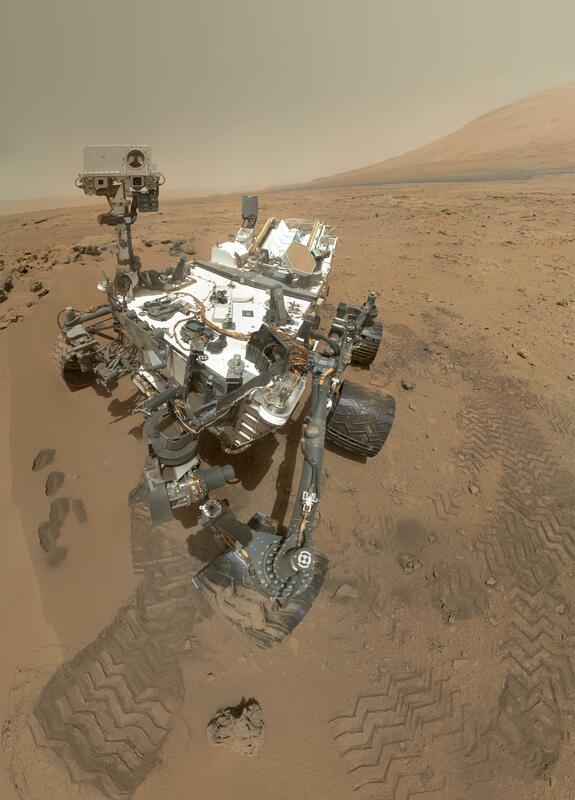 The photo was composed of 55 self-shots taken using the rover's MAHLI native imager at 5,463 x 7,595 pixels. You can get the 124.5 MB RAW TIFF here.